As we journey to Austria, the first image that comes to mind is Julie Andrews twirling on that spectacular, verdant mountain top singing, “the hills are alive…” in the iconic movie “The Sound of Music”. That scene is an incredibly vivid image showcasing the beauty of this small landlocked country. Located in Southern Central Europe, it is just 32,000 square miles, much consisting of the mountainous region of the Eastern Alps. Austria shares borders with eight European countries; Germany, Czech Republic, Italy, Slovenia, Hungary, Switzerland, Slovakia, and Liechtenstein. Ninety eight percent of the population of Austria is German, which is also their official language. The majority of her people are Roman Catholic, with a small, minority Protestant population. According to Austrian law, any child over the age of fourteen can freely choose his or her religion. Austria’s capital city of Vienna, located on the banks of the Danube River, was once the political and economic center of the Austro-Hungarian Empire from 1867-1918. What must be known is the significance of the musical innovation spawned there during the 18th century. Vienna was the hub for classical music where musical genius flourished. Masters, such as Ludwig Van Beethoven, Wolfgang Amadeus Mozart, Joseph Haydn, Schubert and Strauss graced this city. Their music was played in one of the most beautiful and ornate concert halls in the world, the Musilverein, in Vienna. It is known to be the “Golden Sound in the Golden Hall,” where even today the world’s finest musicians aspire to perform. Vienna is a city that holds the distinction of having a cuisine specially named in her honor. 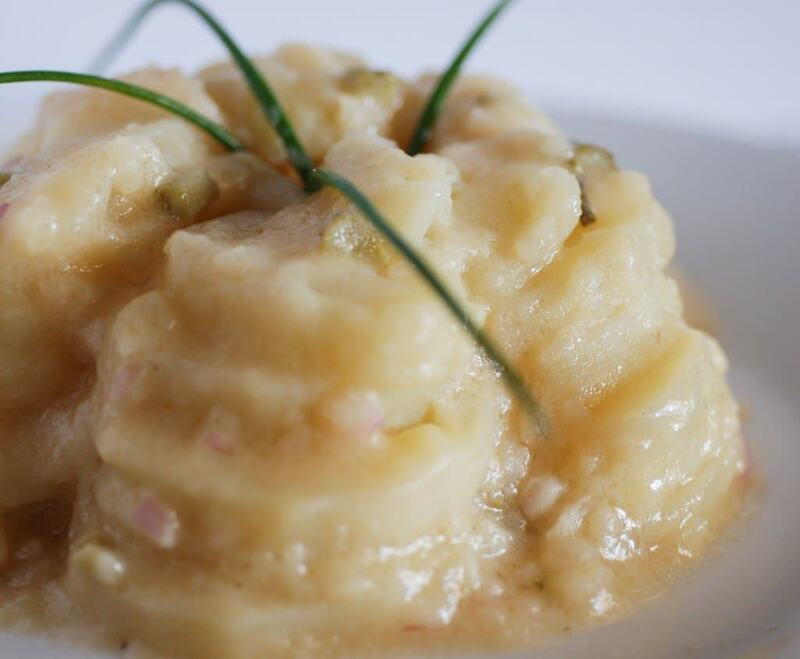 Today they serve modern traditional Viennese dishes with the principles of nouvelle cuisine called the new Viennese Cuisine or “neve Winer Küche.” Austrian cuisine is different and derived from the Austro-Hungarian Empire, heavily influenced by Hungarian, Czech, Jewish and Italian cuisines. Austria is home of the unbelievably beautiful ski area of Innsbruck which is famous for its Christmas markets. Every Advent in the historic part of Innsbruck, in front of the famous Golden Roof and surrounded by beautifully preserved medieval facades, you will come across the Old Town Christmas Market. Strolling through the market you will find Christmas ornaments, handicrafts and other winter treats. Traditional dishes such as Kiachln (fried dough pastry) and a mug of Glühwein (mulled wine) will keep you warm while mingling with the locals and making new friends. Austria also has a wine making tradition where small wine producing estates are not required to have a special license to sell their own wine. This dates back to a decree from 1784. There are as many as 20,000 private vintners making their living selling wine. And Austria is known for her beer as well with many special brews dating back for generations and breweries that dot the country side. They have a tradition of hanging a wreath on the door to let you know that a new batch of brew is available for tasting. In that spirit, the appetizer I chose for our Austrian meal would be commonly served in one of these tasting rooms. When choosing the meal for Austria I thought it would be easy. I could just cook the items mentioned in Sound of Music’s, “Favorite Things” song and clearly that had to be spot on. Come to find out, there was some poetic license taken in that song. 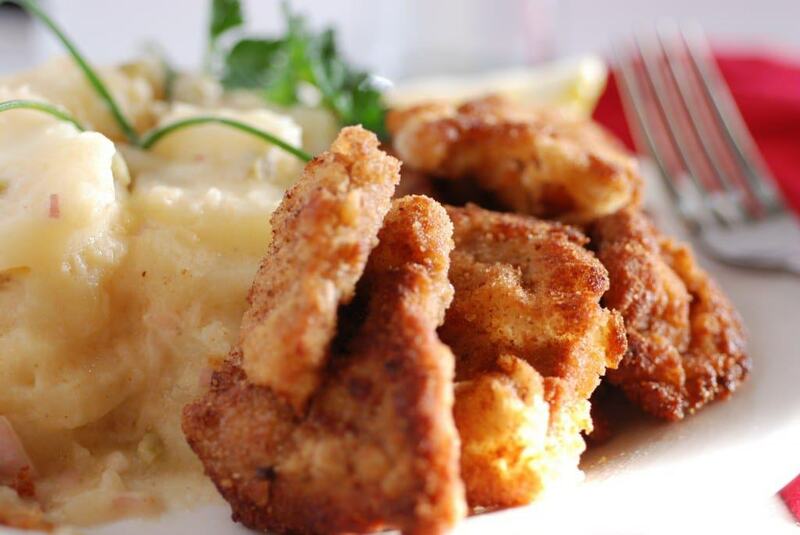 Although schnitzel is considered the national dish of Austria, Austrians would never eat it with noodles, they eat it with potatoes. I suppose there was no creative way to make “potato” rhyme with “schnitzel”. Lucky for us, the crisp apple strudel is in fact a wonderful Viennese and Austrian dessert. 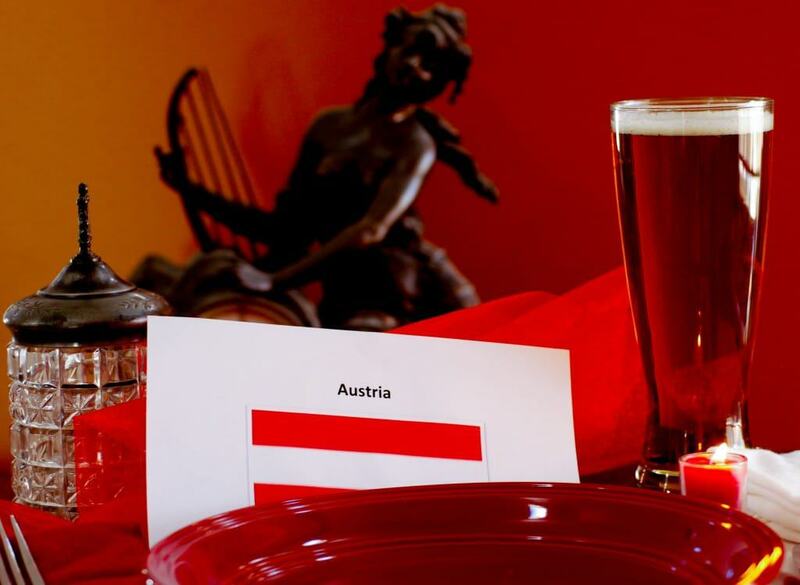 We began with a traditional toast “Prost .” For this meal we chose a full bodied, Viennese style beer. Our meal was eaten Continental style, as would be customary in Austria. 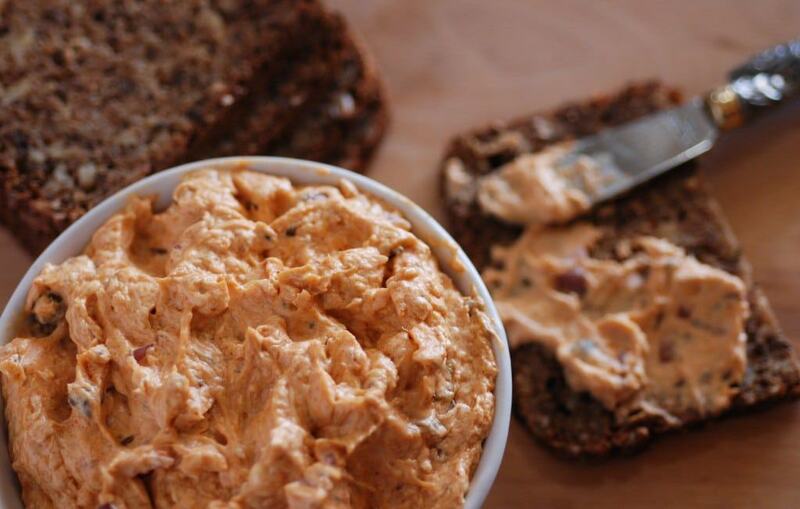 The Liptauer cheese and caraway seeds imbued a unique flavor that would make a wonderful appetizer for any occasion. The main meal, schnitzel with warm potato and cucumber salad, went lovely together. One could use any type of meat to make the schnitzel because there is just something so delicious about breaded and fried anything. 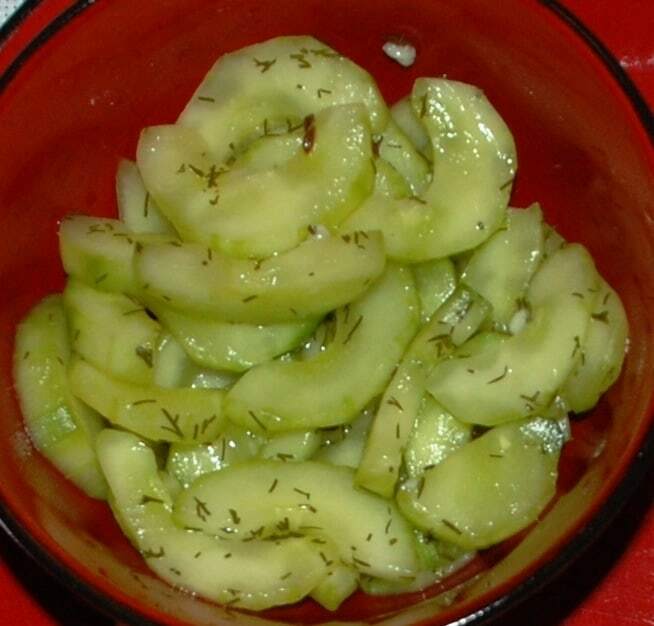 The cucumber salad also had a sprinkling of caraway seeds and had an almost sweet and sour flavor. After our delicious, crisp, apple strudel, we sang “Edelweiss,” which come to find out is not the national anthem of Austria but was written for the movie “The Sound of Music.” The real national Anthem of Austria is called “Land der Berge Land am Strome”. Edelweiss is however, Austria’s national flower. For me, “the Sound of Music” is probably my all-time favorite movie! I come from a family of six kids, three boys, three girls, and I am the baby. Way back when, my middle sister got the album “The Sound of Music” for Christmas one year. Unfortunately, as a teenager, she was more into Strawberry Alarm Clock and Carol King and needless to say was a bit disappointed with her Christmas present that she had so cleverly discerned was a record album. Lucky for me, I got the album and learned every word of every song, sang and danced to it so many times, I couldn’t count. However, from that point forward in my family if you received something you didn’t really like, someone would ask, “oh no, is this the Sound of Music?” Of course, after my sister’s teenage years, she too came to love the soundtrack and we all watch the movie every Christmas. 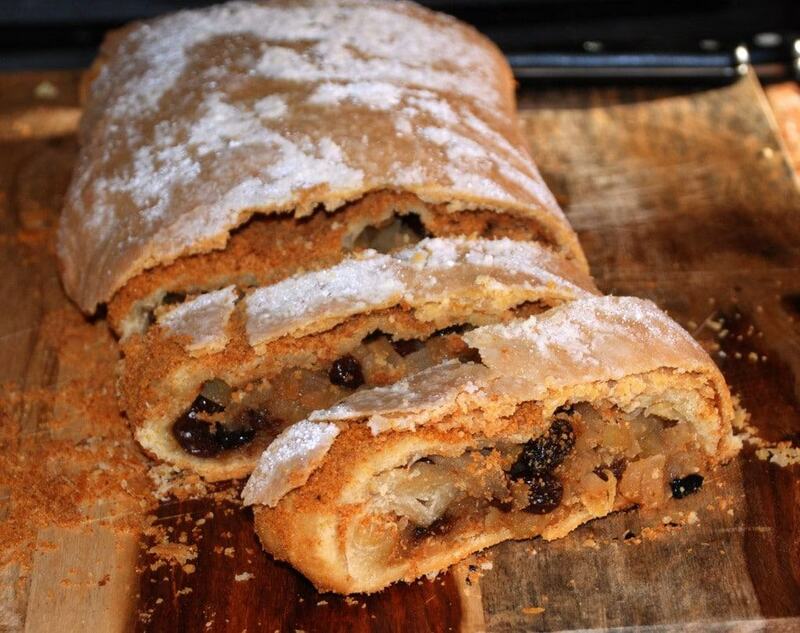 If you have never seen it, serve up a warm slice of apple strudel and a cup of Glühwein and enjoy the essence of Austria. Schnitzel & warm potato salad………….My very favorite meal. It was delicious, and surprisingly very easy to make!